Since 2010 — and a landmark episode of "Parks and Recreation" that coined the phrase — February 13th has been known as "Galentine's Day" — a day where women celebrate their relationships with other women, and honor their "girlfriends" with tokens of love, whether or not they have significant others. According to "Parks and Recreation's" Leslie Knope, "Oh, it's only the best day of the year. Every February 13th, my lady friends and I leave our husbands and our boyfriends at home, and we just come and kick it, breakfast-style. Ladies celebrating ladies." Over the last eight years or so, the holiday has come to be associated with mimosas, women's only brunches, and cute cards, on one hand, and rabid feminist propaganda on the other (Planned Parenthood, for example, celebrates "Galentine's Day" in honor of their commitment to "women's health"). But now, it seems, worker feminists want to put an end to the women's only holiday. 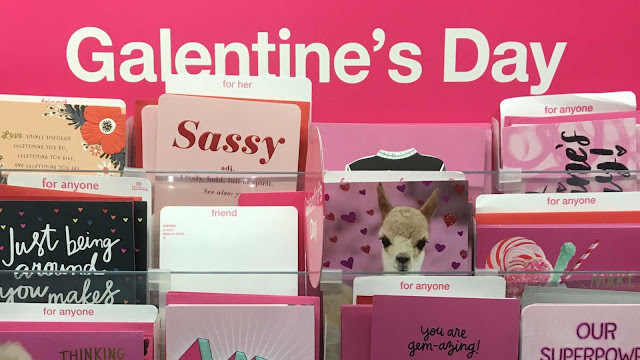 Celebrating the gender binary is so last decade, and according to one super-woke women's rights advocate, Galentine's Day is "patronising, sexist, and unnecessary," because it reinforces negative stereotypes about single women. Rachel Hosie, writing for Insider, says she doesn't need a separate holiday for her singlehood — and she certainly doesn't need the pity that goes with Galentine's Day, because it stems from oppressive notions of traditional gender roles and expectations. "The idea of Galentine's Day sends the message that women in relationships need to spend the day before Valentine's Day with their single girlfriends to check we're OK and are not going to fall into a pit of despair when February 14 rolls around," Hosie writes. "Actually, we don't need your pity — and the whole concept perpetuates the ridiculous myth of the sad, single woman." The real purpose of "Galentine's Day" seems to be simply to have "fun" — not that female friends typically need an excuse. But there's no such thing as fun for feminists, only the ever-present dread of being accidentally caught having a good time doing something that isn't perfectly woke or political apt. "Society will try and tell you it's tragic to spend the evening of February 14 going to a gym class then flopping on to the sofa with a tub of ice cream for company," Hosie says. "Being single also doesn't mean you can't be happy for your friends who are in relationships — let them have their day of fake, forced, pressurised romance. We're fine — and we certainly don't need an equivalent." Oh, well. More chocolate for the other gals.